Reading is a huge passion of mine, so from time to time I like to talk about it here on Bramble & Thorn and hopefully inspire some of you lovely readers to check out my recommendations! This particular topic is something I’ve been meaning to write about for a while now, as I’ve personally made a resolution over the past year to read more book written by women. There’s so many incredible female authors out there, although whenever you glance at a ‘best of’ list more often than not 95% of the titles will be written by men. Don’t get me wrong, 1984: brilliant. The Hobbit: brilliant. But these are not the be all and end all of literature, and there’s so many books by female authors that deserve a space on your bookshelf. In any case, it’s no surprise that I have a list a mile long of books to purchase. I have lists of books on my iPhone, scraps of paper with hastily-written titles, and a few Listography pages to help me keep track. Although I’m rapidly running out of room on my bookshelves, I don’t think I’ll ever tire of buying books. Although I have absolutely nothing against using things like Kindles and tablets to read, I adore the feeling of holding a physical book in my hands, turning pages, and carrying it around in my bag. It’s also lovely to be surrounded by books in my house – it’s my dream to one day have a room filled with books and a cosy little reading nook *sigh*…one day. In any case, with the amazing deals and discounts that are offered in online stores now I’m pretty much buying myself a new book every other week, and often do so by taking advantage of Bookworld coupons in order to fit a couple more books in my shopping cart! The following list is by no means comprehensive but is merely a starting point if you’d like to check out some of my favourite books that have female authors. I’ve left J.K Rowling off this list because let’s be real, we all know and love her and have read and re-read the entire Harry Potter series uncountable times. 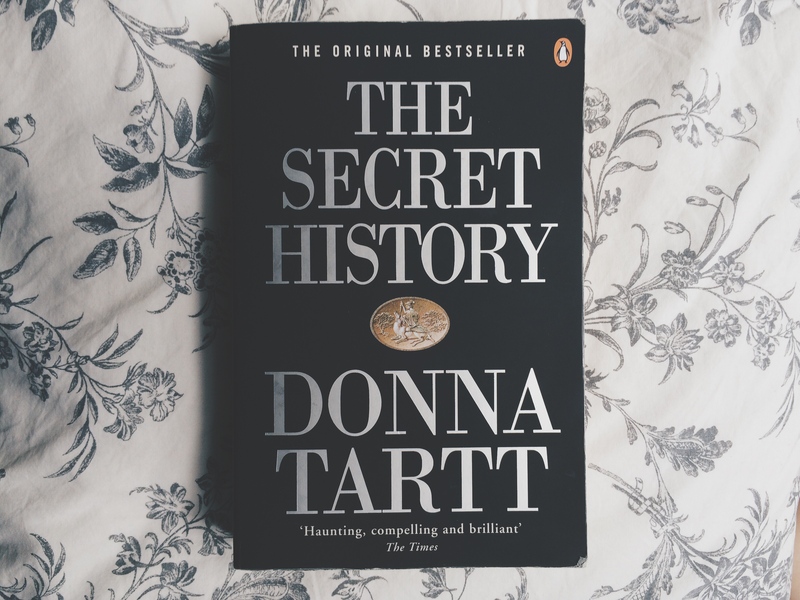 I’m currently ¾ of the way through Tartt’s Pulitzer Prize-winning novel The Goldfinch (it’s incredible, by the way), and it’s really reignited my love for The Secret History. She’s such an incredible writer, and really has the most beautiful way of describing a moment in time. Her descriptions of the private New England college really conjure an image that is crystal clear, and the way she constructs her characters are so vivid that they feel real. I don’t want to get into the story too much, but it’s absolutely wonderful and I’d urge you to read it as soon as you can, preferably curled up in bed with a cup of tea on a rainy day. I’ve read quite a few of Margaret Atwood’s books, and have honestly adored all of them. While she may be best known for The Blind Assassin, for which she won the Man Booker Prize, I think Cat’s Eye has resonated with me the most, as it has some very poignant views on misogyny, sexism, and what it’s like to grow up as a female. I saw a lot of myself in the main character Elaine, and I suspect many women would identify with the sharp descriptions of childhood friendships gone awry, awkward teenage years, and failed love. This is definitely a great book to start on if you’d like to get into her work. I can say, without reservation, that this is one of the most exquisitely written books I have ever read. Woolf's prose is second to none, and few authors could achieve the vast scope of human emotions and frustrations as she has. Not an easy read by any means, but well worth the effort. Jackson is a more recent discovery of mine, but her delightfully creepy stories are just too good. This book is so atmospheric and eerie, leaving you with an ever growing sense of unease. Speaking of curling up with a cup of tea on a rainy day, this is another wonderful book that is really meant to be read when next to a crackling fire while a storm rages outside. It's the perfect blend of mystery and intrigue, with elements of gothic literature weaving their way through the story. I absolutely adore this book. I'm always on the lookout for new books to read - who’s your favourite female author? This is a sponsored post - as always, all thoughts are my own.